2N SIP Mic allows paging to several zones with a simple push of a button. 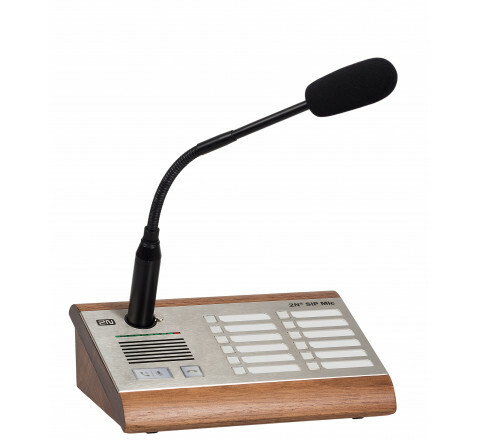 It is ideal for live or pre-recorded announcements. It has a built-in audio-management server for configuration, which means less equipment as well as flexible, easy and cost-efficient installation. 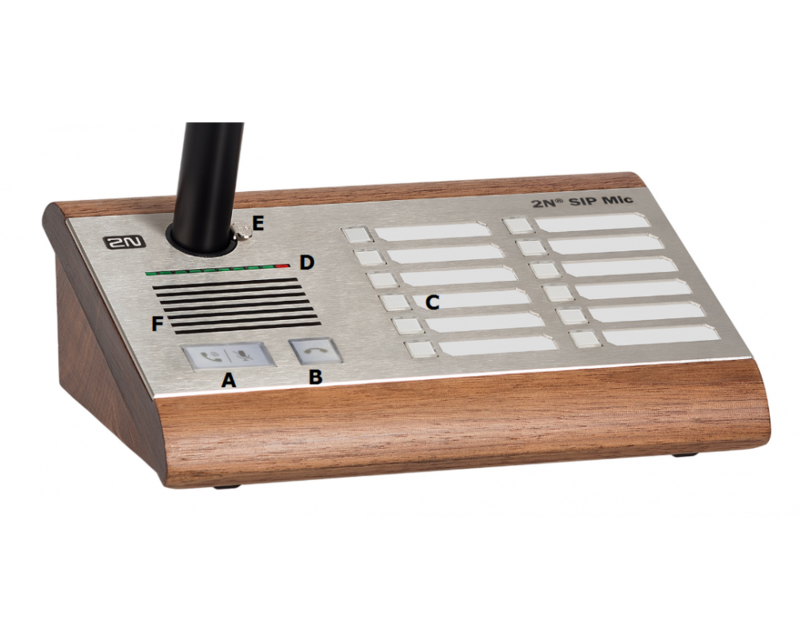 The network microphone console has 12 buttons that can be configured with actions of your choice. 2N SIP Mic’s 12 buttons give you a smart paging solution for up to 12 zones, and if your system grows you can easily connect the microphone console to a PBX system thanks to support for SIP. 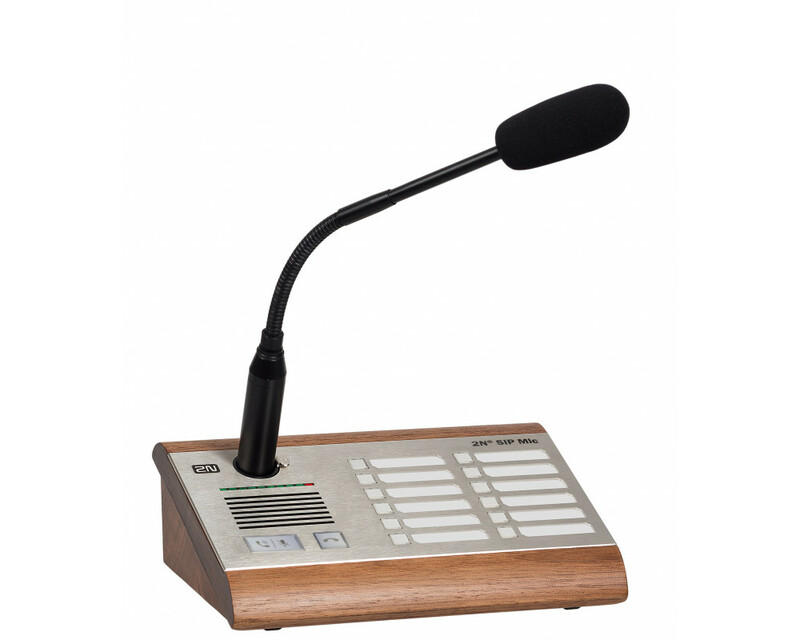 The microphone is based on open standards and connects to standard networks using PoE.